Choosing a professional fertilization & weed control Haslet contractor may not be an easy feat. There are many promises made and few kept and there are many hidden dangers you unknowingly expose your lawn and landscape to. If you care about your lawn and landscape and wish to enjoy a vibrant, healthy micro-ecosystem on your property, you need to be very careful when you choose your company. Today, our fertilization & weed control Haslet TX specialists are here to offer you some information about how they work. We use bio-based products for fertilization & weed control, and we employ organic and semi-organic lawn care strategies to preserve and enhance the health of your soil, vegetation, and the environment altogether. 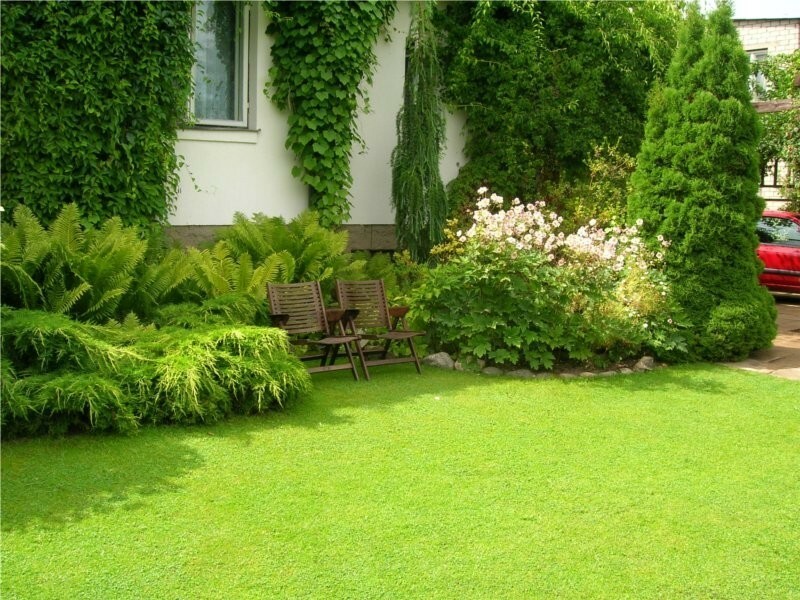 The use of chemical weed control treatments is frowned upon, especially in summer, and this is why we don’t only keep your lawn green and weed-free but also enhance the health of the soil providing the foundation for a lush, vibrant lawn. Do People Need to Guess what to Apply to Your Lawn or When to Apply it? Complete and thorough property assessments including the soil’s pH, the vegetation, the micro-ecosystem thriving on your property, the weather challenges of your area, and the environmental factors that play a role in the thriving of your landscape. If you think you got away with some pre-emergent weed control program and some spraying in summer, you are wrong, and you shouldn’t trust a contractor telling you this is all you need. As part of our 7 Step Program, we’ll treat your lawn every 5-7 weeks throughout the year, also engaging in follow-up visits to see how things go and make the necessary adjustments. The implementation of our innovative fertilization program also comes together with a disease and fungus control, insect and grub control, core aeration and the use of high-quality weed control products. Call our fertilization & weed control Haslet TX experts for a free estimate and enjoy a thriving landscape all year long with no risks! Read What Our Happy Customers Have To Say! I was referred to Lawn Concepts by a friend and I am glad that he told me about them. Ever since they started treating my lawn it looks a million times better than it had in the past. I would go out and spend a few hundred dollars a year on fertilizer and supplies and get no results. Lawn Concepts charges about what I would spend a year on fertilizer and supplies and I do not have to do the work!! We've only been using Lawn Concepts for the past few months, had our third treatment and our lawn stands out on the street as the greenest! I love the fact that there are no weeds and the grass is soft to walk on. I have recommended them to neighbors and will continue to. I give them a 10! We have used Lawn Concepts for nearly five years and our yard continues to be weed free and we started using their bush and tree service and our plants around the house seem to be healthier. They treat my small rose garden, and the roses are healthier with less black spot and other normal rose issues. We are pleased to use them, and several of our neighbors also use Lawn Concepts. Call Us for Fastest Service!